Loss: Official Website: Summer 2012 Update: New music, new releases, shows, interviews, and more. Summer 2012 Update: New music, new releases, shows, interviews, and more. Writing for our second full album is officially underway, and the bulk of our time as a band will be dedicated to this pursuit for the next several months. Judging from what has already come out of these sessions, the sounds we'd only begun to explore while writing "Despond" will now be allowed to flourish and expand. Although we will be spending most of our energy on writing for the rest of this year, we are currently planning a West Coast mini-tour of the U.S.A. in mid-November. We'll share the details and band line-up for those shows as soon as we have everything confirmed. Another show in Nashville is likely this Fall as well. We have also been confirmed to play next year's Maryland DeathFest XI in Baltimore (May 23rd - 26th, 2013), along with Carcass, Venom, Morgion, Pagan Altar, and many more. We're very much looking forward to that one. Our own online store is being restocked at the moment, but Parasitic Records and Contagion Releasing still both have copies of the "Despond" 2LP vinyl edition for purchase. The CD version can still be purchased directly from Profound Lore Records. Digital purchases can be made on our Bandcamp site, where the full album can be streamed as well. New and re-printed t-shirts are coming soon, along with oft-requested new hoodies and long-sleeves for the approaching autumn and winter months. 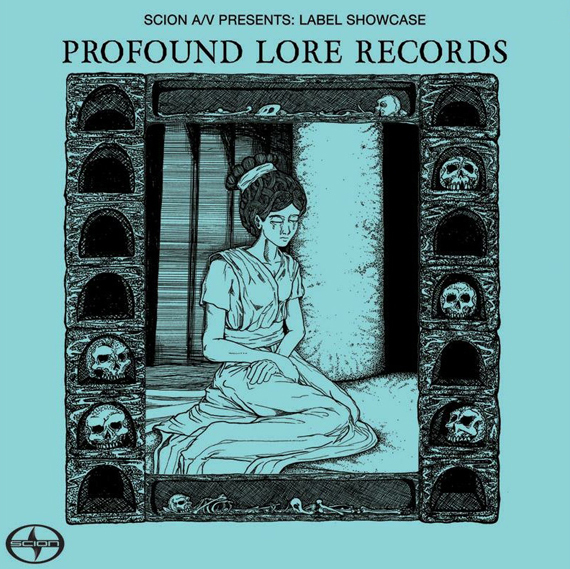 Two live songs recorded at our March 31st show in Pomona, CA have been released via Scion A/V & Profound Lore Records, as part of a promotional sampler, which can be streamed and downloaded here. The sampler also features live tracks from our friends in Pallbearer, Wolvhammer, The Atlas Moth, and Yob. We are also in the process of updating the rest of this site's content, including new photos, reviews, live show listings, and the history/discography section. Thank you so much for great work and new and old releases! !